In the recent years, there are lots of improvement in the field of technology with the support of internet and other resources. People are showing their leniency towards the new technology rather than improving the old. Lots of businesses are growing with the help of technology. When it comes to presenting the business then there are lots of things to be done and you need to start with designing a web site for the company or business to display your trade or products in the market. You need to develop a great design for a web page which can help you to attract lots of visitors and make traffic for your website. 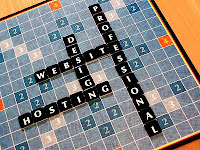 There are some essential things which should be kept in mind when you are designing a web site. Below are the effective tips which make your web site an impressed look with a design for your readers. It is very important when you are designing a web page to check with the web pages. Usually readers check their information on the first page of the web site and if it looks interesting they will go for the second one but if it looks drastic then they skip your website and crawl on another one for the information. All you need to do is to provide the relevant information and make your pages short with full info about your business. This is also important when you are designing a web page as the fast pages are always required and they are important. You need to put on more data and more content with images and should be comfortable for the readers. If you create a fast web page you need to check with all the particulars and the content with the keyword inserted in it. If you do it so then you can design the effective fast web pages and grow your business. When you are designing a website you need to implement a search bar as the readers look for the different types of categories on your website. So it is very important to fix this element on the web page. If the reader wants they can put the text and can search the relevant information which they needed. Put the search bar and keep a search button beside the bar and don’t use such words Go or Submit on the search button just keep it as simple search and move on. This is also an important tip to remember that you need to use the natural and appropriate colours when you are designing web pages. Do stick with only one or two colours don’t make your page a design of the world map. You should aware of the colour choices which you are using and should suit your web page. It is most important to fix natural colours when you are creating a web page. When it comes to the part of the navigation you need to more careful as most of the readers check for the site map and the routes. If you are designing long web pages then it will be benefit from tables and contents which used in the website using the anchor links. You should be aware of all the mappings and display the best site-wide navigation for your website. Images and contents are the presentation of your business by website and all you need to do is to focus on the image which you are putting on the web page. Keep the images of small size which looks with your website content. People often use large image to represent your company and products. Keep the image which suits your website and also check with the colours and graphics. As you know that the internet is the source for all the business and people to get the information about the relevant things. All the websites on the internet are global and they are witnessed by all the people. So try to represent your website with the fresh and updated content and keep all the things which the readers look for and try to be clear with them. If you are writing the content for the website and this is a process done before and after designing of website. So always check with the grammar and spellings which are used on the website. Readers won’t tolerate these type errors and you will suffer for your business and no traffic will be present there for your website. So try to be clear with grammar and spellings. It is also the most important thing to notice when you are designing a website. Readers don’t have much time to search the information all they need is the quick info in quick time so try to make open your page in just 2-3 seconds. If it takes longer time then you can lose your reader, they will leave your site and don’t have much traffic for your web site. Make sure that you put less images and graphics as this is also the reason to limit your time. This is the final stage of designing a web site as you need to put your contact details on every page of your website as many websites lack of contact details on their pages. Put your details with the different colours and also test your website in the different search engines after completion of designing phase and clear the errors if they exist. If you are a web page developer and designer then you need to follow these tips to maintain your website and by this you can also impress your readers and it will help you in making traffic for your website. This guest post is written by Sophie, who is a specialist in financial blogging from Manchester. Apart from blogging, she does research on payday loans. Reach her at financeport. Technology is developing in a rapid rate. informative. No doubt it will provide some useful information to everyone. different colours and also test your website in the different search engines. Thanks for web designing the latest updates and tips.